"Very challenging. Very entertaining. Highly enjoyable." 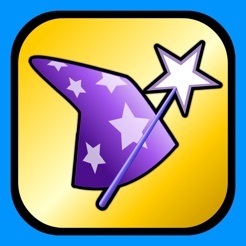 "Fun and fast paced! Love it!" 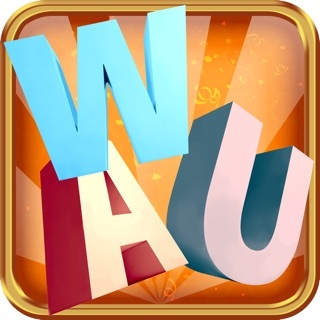 "Overall fun game and entertaining." "Love it. 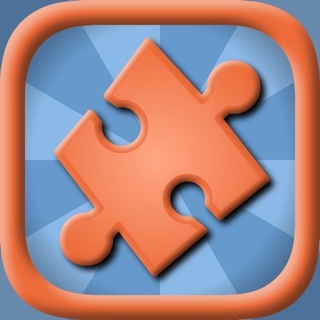 Play it everyday, fun way to keep brain healthy." 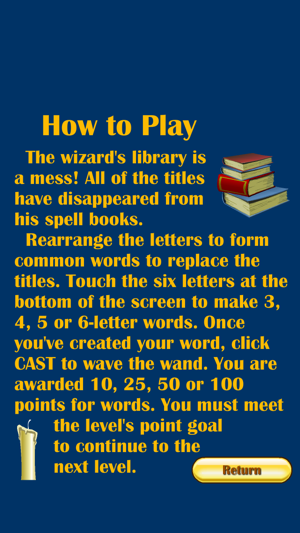 The wizard's library is a mess! 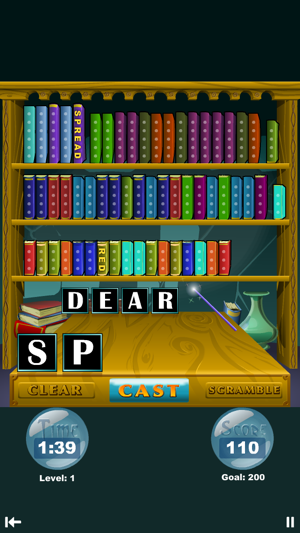 All of the titles have disappeared from his spell books. Rearrange the letters to form common words to replace the titles. 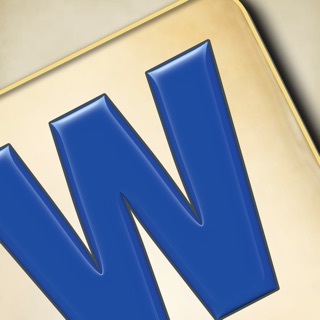 Word Spell is a word puzzle game where you try to form as many words as you can out of six letters. 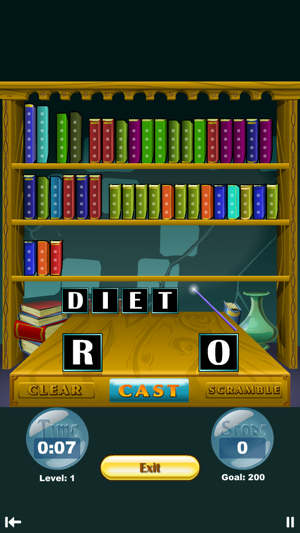 Just tap the letters to try a new word. 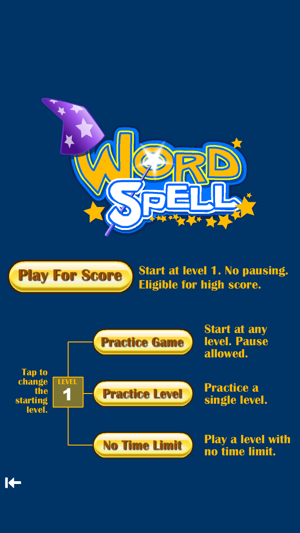 You are awarded points for words and must reach a point goal to proceed to the next level. 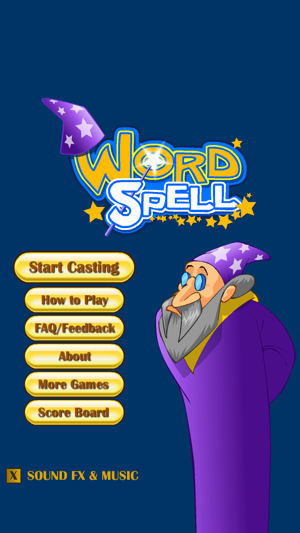 Word Spell is a fun brain game that will having you playing again and again. Minor bug fixes and performance enhancements. I love this game it is great. I just wish it had more then just 7 levels. Can this be done? Please can you work on harder levels cuz I need to be challenged more. Can you do this plzzzz. Thank you for any help you give in addressing my request. 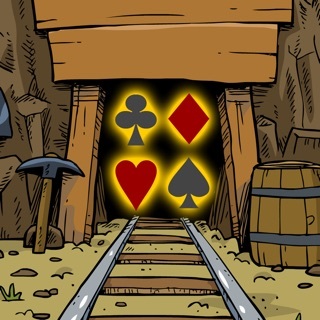 I've had this app for many years and even though it's a simple concept, I enjoy trying to get to level 7! The fear of running out of time usually keeps me from getting there! I really enjoy playing this game. It really helps me to think and to focus. This activity transfers to other areas in my life. 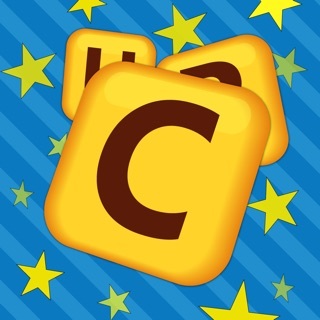 So, it is a very relevant game to play to improve your cognitive skills.